MediaLink Productions is a production-based communications consultancy dedicated to achieving results for our clients. We offer a fully integrated service, from devising client communication campaigns, through to execution and evaluation. With offices and digital video editing suites in Melbourne and Sydney, and a national database of over 80 camera crews, we are uniquely placed to capture and produce your video requirements in a timely and cost-effective manner. And while our production focus is on electronic media, our communications consulting expertise covers all forms of traditional and new media. We are recognised as the Australian leaders in producing and distributing Video News Releases, leveraging the power of television for our clients. We also produce Audio News Releases to help clients gain valuable radio coverage. Jonathan Raymond is a former ABC television news journalist and long-time corporate communications consultant. He held senior management positions at international consultancy Hill & Knowlton, in Melbourne and New York, as well as founding a below-the-line consultancy at DDB Needham in Melbourne and serving as a Director of Fleishman-Hillard Australia. In 1990 he founded Stratcom Consulting, which grew to be one of Australia's leading corporate communications companies with offices in Melbourne, Sydney and Brisbane, before being acquired by global company Omnicom in 2001. Jonathan founded MediaLink Productions in Australia in 1995 in affiliation with Medialink Worldwide Inc., New York. Jonathan has advised a wide range of clients on corporate communications, issues management and marketing PR. His experience is used in developing and implementing communications strategies that influence outcomes. He has won the International Public Relations Association's "Golden World Award" for professional excellence. Jonathan is an Honours Graduate in Economic History and Political Science from the University of Melbourne. Sonia brings to MediaLink Productions over 20 years’ experience as a senior news journalist and video producer. She has worked as a reporter with ABC TV News and 7.30, as well as on video production assignments from Melbourne to Mumbai. She has also produced for Al Jazeera English out of London, and Associated Press. Sonia began her media career at the 7 Network, as Assistant Chief of Staff in the TV Newsroom, Sydney, before producing for Today Tonight and working as Associate Producer on Sunday Sunrise. As Senior Multimedia Producer at Fairfax Digital Sonia produced multimedia breaking news and feature stories for The Age and Sydney Morning Herald, as well as training print journalists in the skills of video journalism. She has also worked as a media and policy Advisor for a State Opposition Leader. 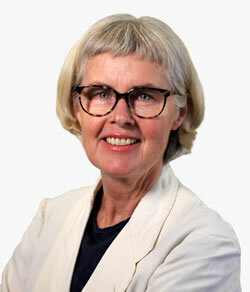 Sonia has a Masters Degree in International Relations from the University of New South Wales and a Bachelor of Journalism from University of Technology Sydney. 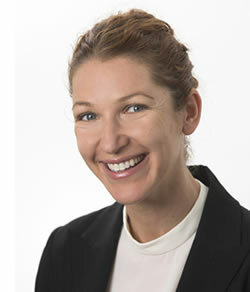 Katrina is a public relations and marketing consultant with particular expertise in the Arts. She previously served as Assistant Director for Karen Woodbury Gallery from its inception, responsible for the marketing and public relations and events program and collaboration on the gallery exhibition program. At MediaLink, Katrina has conducted communication and production projects for the Ian Potter Museum of Art, University of Melbourne; TarraWarra Museum of Art; the Victorian College of Art and Melbourne Conservatorium of Music; the Koorie Heritage Trust; VicUrban; Sustainability Victoria; William Mora Galleries and the launch of fine art auction house and gallery, Deutscher and Hackett. Other career achievements include design business development, arts foundation management, fundraising and city tourism marketing. She has initiated private exhibitions in painting and contemporary jewellery, and established a leading Contemporary Art Collective, ‘The Flinders Collection’. Katrina has a Bachelor of Fine Arts from the Royal Melbourne Institute of Technology, a Bachelor of Applied Science and a Diploma of Education. 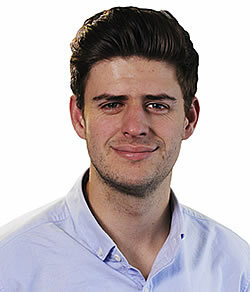 Sam is a digital native with a passion for creating cut-through communications for clients. At MediaLink Productions he produces mainstream, online and social media content for a range of clients in infrastructure, health, the arts and fmcg. Before joining MediaLink Productions Sam worked as Video Content and Social Media Manager for a football club, and as Assistant Editor for the Marngrook Footy Show. Sam has a Bachelor Degree in Media and Communications with a minor in Digital Media from Swinburne University of Technology, and completed the Creative Industries: Film and Television course at RMIT. Eric Zhang serves as a Consultant to our clients on Chinese media. Now Melbourne-based, Eric is an experienced TV Journalist and Producer, having worked for China Central TV and China Radio International in Beijing over 5 years, as a correspondent in Australia for the top Chinese newspaper platform - Global Times, and as the Video Production Director for Australia Pacific Media. 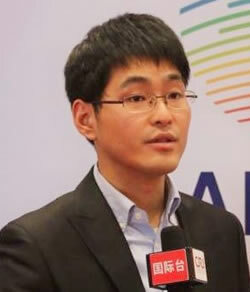 As a Video Producer and Mandarin Voice Over Talent, with a standard mandarin pronunciation certificate, Eric has produced corporate video and audio material for the Chinese market for clients such as Volkswagen, Ford, Yahoo Beijing, ASUS, Senegal Embassy in China, Sina, Sohu, Baidu and the Economic Times Press. Eric is also a Certified Professional Translator from English into Chinese by the National Authority for Translators and Interpreters (NAATI). As China Consultant to MediaLink Productions, Eric is available to work on client projects targeting the China market, from producing videos, to translation, presenting, voice overs and captioning. 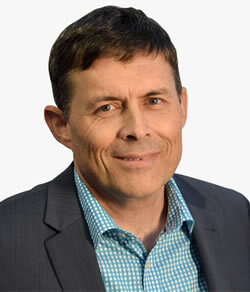 Medialink Production’s Sydney Producer Darryl Anderson is a former television journalist at Network Ten News in Sydney. Through years of experience producing, writing, directing and presenting video and television for corporate communication, Darryl has developed a capacity for accurately interpreting and strategically analysing clients’ needs. 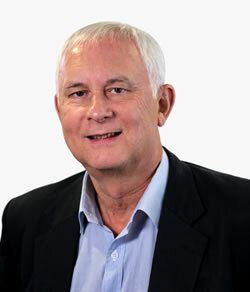 Darryl has managed video projects for clients such as the Commonwealth Bank, Energy Australia, Ventracor, Grains Research and Development Corporation, the University of New England, the Australian Primary Superannuation Fund, Ridley Corporation, All Saints’ College, Bathurst, and Scenic Tours Australia. He has been a mainstay of national rural affairs TV programs, “Cross Country” and “On the Land” and a presenter for “Australian Good Taste”. David is a Content Developer with a passion for video, filmmaking, photography and social media. He has produced a wide range of creative content, from corporate videos and documentaries to live streaming events and animations. David was previously Content and Development Manager for RMITV. 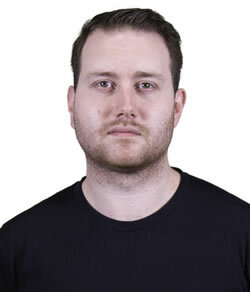 He has an Advanced Diploma of Screen and Media, and a Bachelor of Communications from RMIT.